Of course I checked out some arts and crafts on Pinterest – why wouldn’t you? 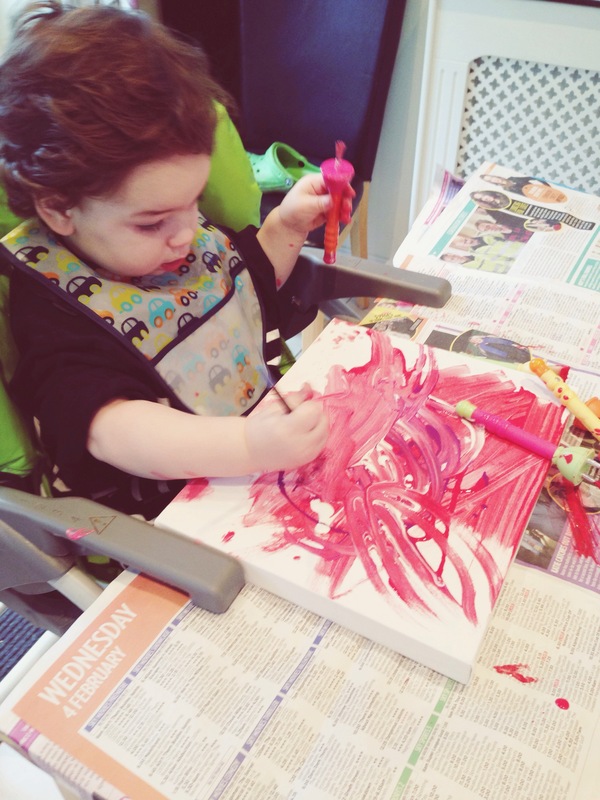 But Jax loves painting so I decided a couple of canvases from us would do nicely :)) I picked these canvases up from ‘The 99p Store’! They’re not amazing but they do the job :)). I set everything up and let Jax wild on his canvas. 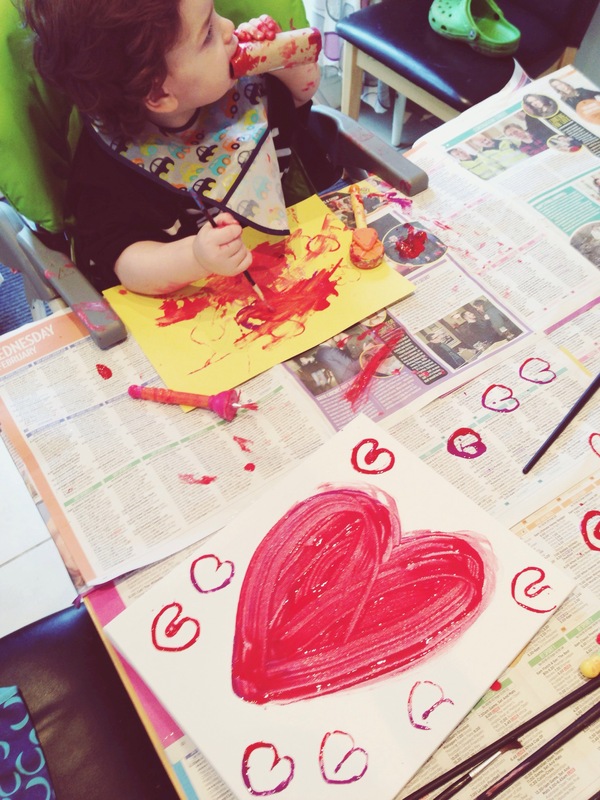 He loved using his paintbrush and stamp selection, as well as his hands, a heart shaped toilet roll tube I’d made and a fork! He was having so much fun he must’ve got a bit hungry as he started eating it after 30 mins or so hahah! Usually I wouldn’t really mind (it’s toxic-free paint) but Jax has had a terrible cough the last couple of days, so before he made it any worse we decided to let our canvases dry and tidy up. 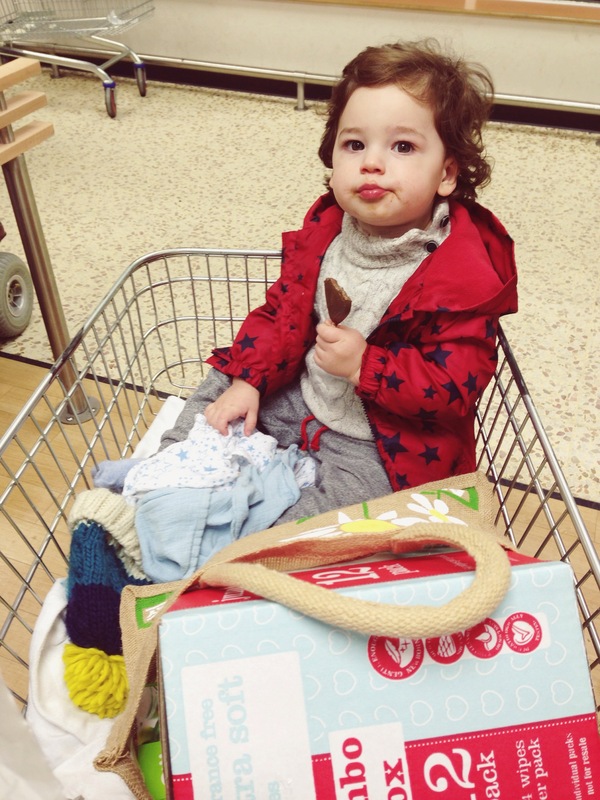 After Jax’s afternoon nap we had to take a trip to Tesco as we were almost out of wipes! We also needed a couple more ingredients for dinner our homemade chicken curry; (I’ll upload recipe after this post). As Jax has felt a bit fragile we decided to get him a little ‘treat’ – he chose a heart shaped (funnily enough) Peppa Pig chocolate lolly! He was so excited he even bit through the foil wrapping before we could take it off!! – we’ve not let Jax have much chocolate since Christmas as he was getting a bit ratty if we didn’t give him any! Oh and above was Jaxson’s brekkie this morning. 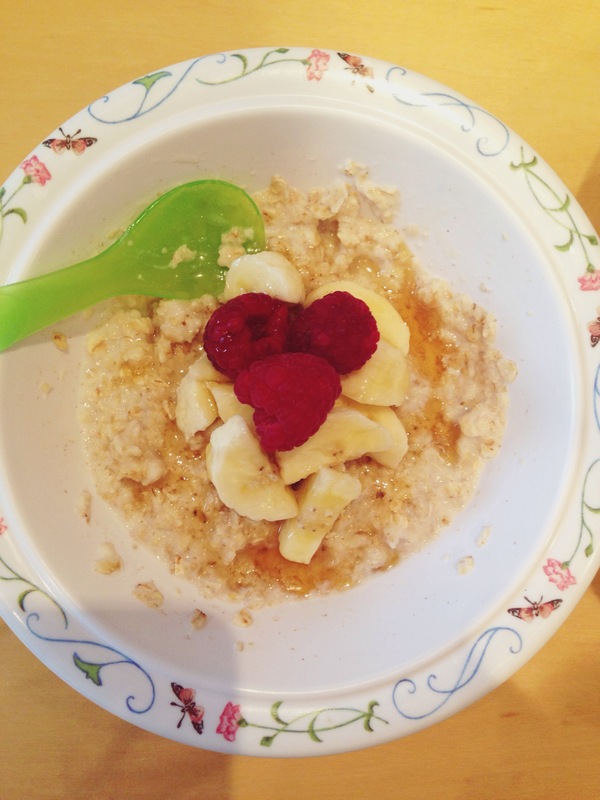 Porridge oats with banana, raspberries and a tiny bit of golden syrup. I had the same and it was so yummy!! Jax loved it too – woohoo! 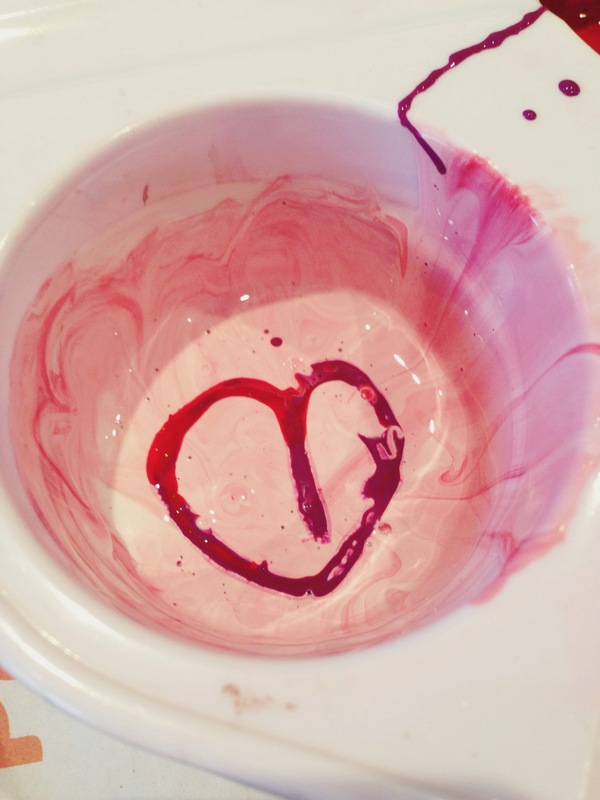 What’s everyone got planned for Valentines?